You are here: Home / Natural Fine Planetary Talismans / Splendid Natural Iolite ring –Superior Blue Sapphire Alternative! Mystical Bluish Violet Beauty! 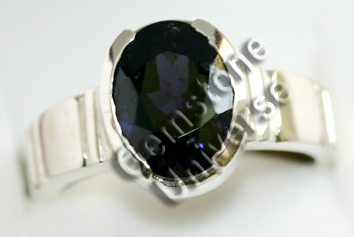 Splendid Natural Iolite ring –Superior Blue Sapphire Alternative! Mystical Bluish Violet Beauty! Bluish Violet Iolite set in Sterling Silver 925 Gents Ring!